Vitamin D and Pain Relief. Is Vitamin D Deficiency causing your Pain? What is the connection between Vitamin D and Pain? If you have Chronic Pain, then this is going to be a seriously eye-opening article for you. If you have chronic pain of any kind,and I do mean any kind of pain, have you had your Vitamin D Level checked? Unfortunately, the likely answer is no. And if you have had it checked, it's likely that your Vitamin D Level was very low, but even if your Vitamin D Level was normal, there is a good possibility that Vitamin D Deficiency could still be causing your problem! Keep reading to find out about this close connection that has probably been overlooked by your doctor. Vitamin D deficiency is epidemic. Up to 85% of people in the US, even so-called 'Healthy' people are being diagnosed with Vitamin D Deficiency in HUGE numbers- putting them at risk for cancers, heart disease, osteoporosis and other problems that doctors have not caught onto yet. Chronic Pain is also an epidemic, with about 1/3 of people suffering from some sort of pain and with the vast majority taking pain medication, chronic pain causes a massive amount of unnecessary suffering. If, in fact, doctors were aware of this problem and tested EVERYONE with chronic pain for Vitamin D deficiency, magnesium deficiency and Vitamin B12 Deficiency, we would save a huge amount of suffering in the world, but doctors have not clued into this easily treatable reason for chronic pain and tend to leave people suffering for years without relief. Osteomalacia is a serious condition that is caused by Vitamin D Deficiency and it is one of the major reasons for Deficiency of Vitamin D and Pain Issues. Osteomalacia occurs when lack of Vitamin D prevents absorption of calcium into the bones. This lack of calcium starts the process of bone demineralization that is a precursor to osteoporosis. Inside the bones is a 'gelatin-like' substance that is normally not very porous. But when the bone cells begin to lose calcium, this gelatin can absorb water and expand- pushing on the thin living layer over the top of the bone called the periosteum. The periosteum has LOTS of nerve fibers running through it, and when this matrix from the inside of the bone pushes against the outside of the bone, we experience this as pain. When this happens throughout the body, we can experience this as widespread all-over body pain, bone pain and weakness that can even look exactly like the Early Symptoms of Fibromyalgia! This same mechanism also explains why some people get worsening Pain While Taking Vitamin D. The minerals that go into the bone can again expand the periosteum even more, leading to more pain until the mineral deficiency is resolved. While this is the main hypothesis as to why Deficiency of Vitamin D and pain syndromes go together, it doesn't seem to be responsible for ALL of the pain syndromes that can be experienced from Vitamin D deficiency. The muscles themselves also play a role because Vitamin D and muscle pain seem to not be able to be accounted for by the same hypothesis. Deficiency of Vitamin D and Muscle Pain seems to occur even in the apparent absence of the bone markers of Osteomalacia- even when sensitive tests are used. This can be accounted for because there are Receptors for Vitamin D all throughout the muscles of the body, and when Vitamin D deficiency is present, not only can the muscles become painful, but they also become WEAK, causing falls in the elderly and fatigue in many people. Deficiency of Vitamin D and Pain is a very serious, very common and very widespread cause of pain. And it is still almost completely unrecognized. Nearly every study that looked at the relationship between the two found that up to 100% of people with chronic pain have Vitamin D Deficiency and that treating Vitamin D deficiency led to a decrease in pain - when the studies actually used enough vitamin D to correct the deficiency. 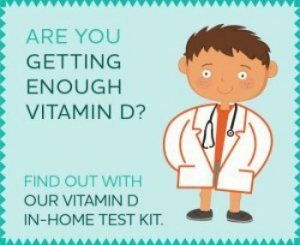 But even mild deficiency of vitamin d and pain in many studies just simply did not use enough vitamin D to actually correct the deficiency- leaving the researchers and patients to incorrectly believe that a lack of vitamin D was not the cause of their problems and vitamin D could not correct it! Unfortunately, the same thing happens in the case of Vitamin D Deficiency Fatigue as well. But even chronic pain patients who did not have their pain relieved were found to use less pain medication, and particularly less narcotic pain medication, than prior to the studies. So treatingvitamin D deficiency in chronic pain patients could benefit them even if their pain is not relieved! There are millions of people across the world with chronic pain of all type that COULD benefit from treatment of their Vitamin D Deficiency. 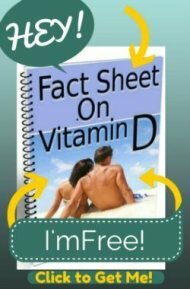 The Vitamin D Solution: A 3-Step Strategy to Cure Our Most Common Health Problem - Take a look at this EYE OPENING book. This fascinating account of the health benefits of Vitamin D will keep you turning pages far into the night! How Much Should I Be Taking? What About Overdose? What Does Vitamin D Do? What Causes Deficiency? Don't Take That Prescription!? What Foods Have Vitamin D? Your An ANGEL!! Vitamin D Deficiency and Lyme Disease?? Crazy Transient Pain and Vitamin D Deficiency! Tired of being in pain, will Vitamin D Help?